New year, new painting. Though technically I finished this painting shortly beforehand. 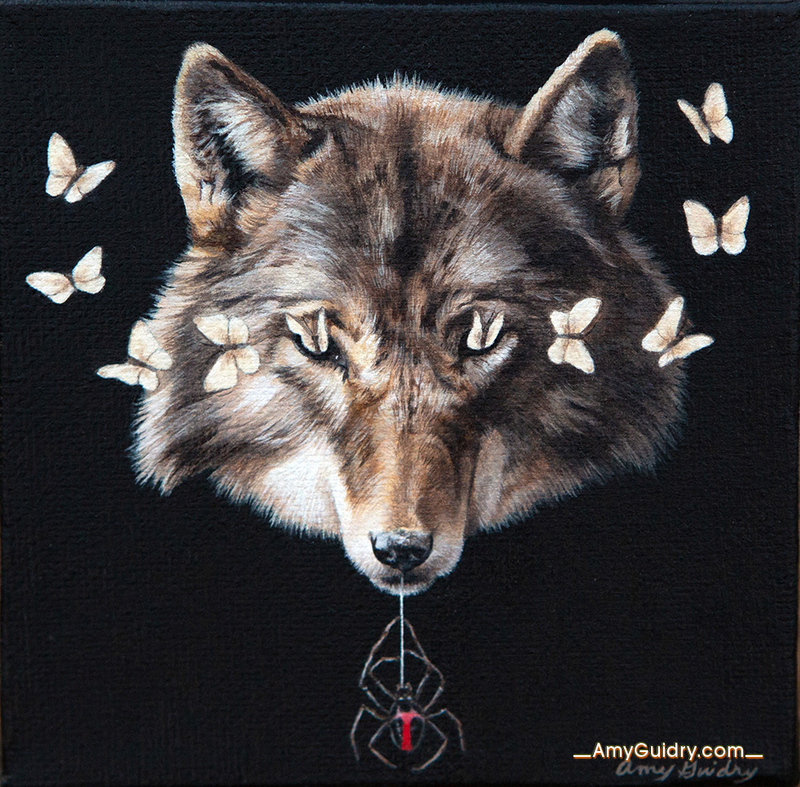 This piece was done with a friend in mind that loves wolves and rescues insects, too, and is now in her collection. The title is Interdepend and it is an acrylic on canvas, 4″ wide by 4″ high. 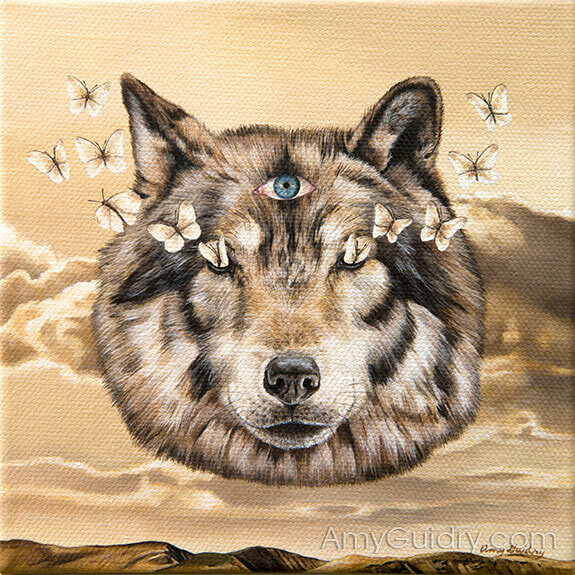 This piece has sold, but you can find more paintings and prints available through my website: https://amyguidry.com/gallery.html. I’m excited to reveal my paintings which are finalists for the People’s Choice Award in Jonathan LeVine Projects’ Delusional Competition. The award consists of cash and art supplies! Please vote for my work, I would greatly appreciate your help. To vote, you’ll need to create an account and verify your email (keeps it fair) in order to vote. 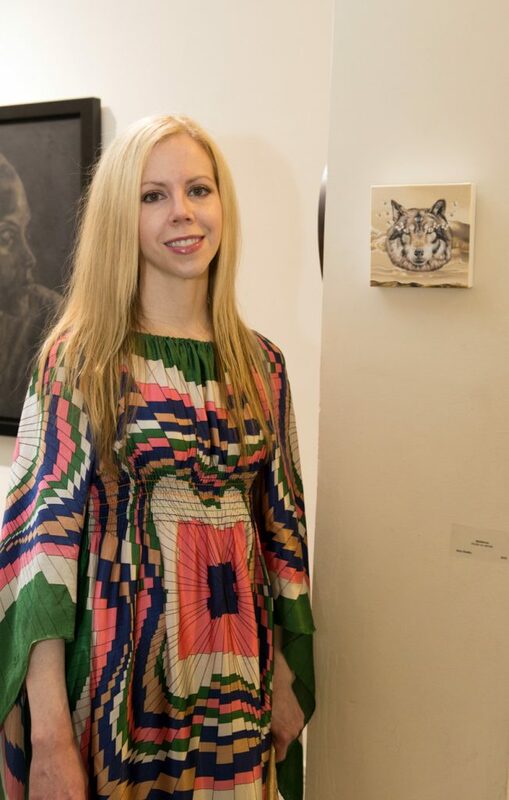 This is the direct link to vote for my work on Submittable: https://jonathanlevineprojects.submittable.com/gallery/c0d22077-6a44-4120-a501-e8951afe51a9/10402272/. Voting is open now through August 9th, 2018. Thank you! I’m happy to announce that my work is featured in the latest issue of Blue Earth Review. 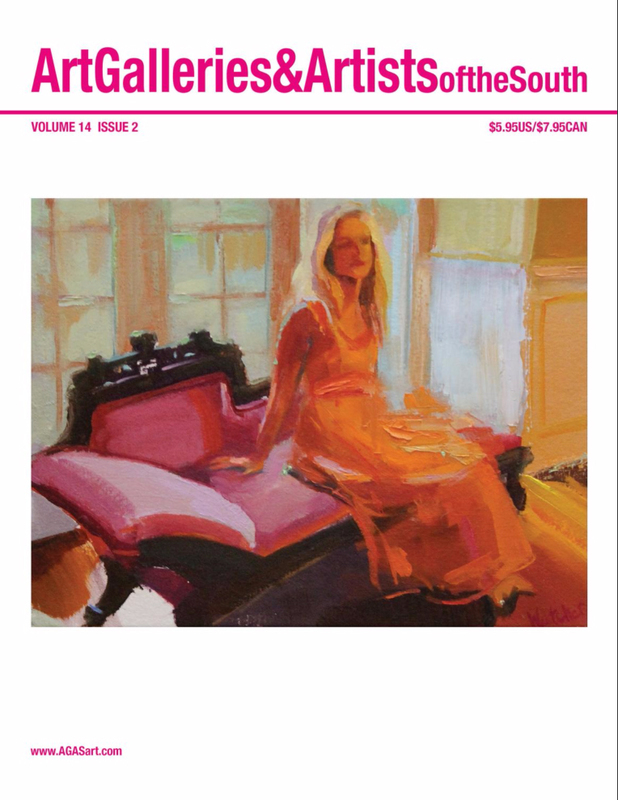 My painting Arise is featured on the cover and several other paintings from the In Our Veins series are inside. Issue 19 is available here: http://blueearthreview.mnsu.edu/issues/. As part of the “Good Mourning Tis of Thee” exhibition I was recently a part of, Co-Lab Projects has created a catalog of works by over 60 artists from the show. 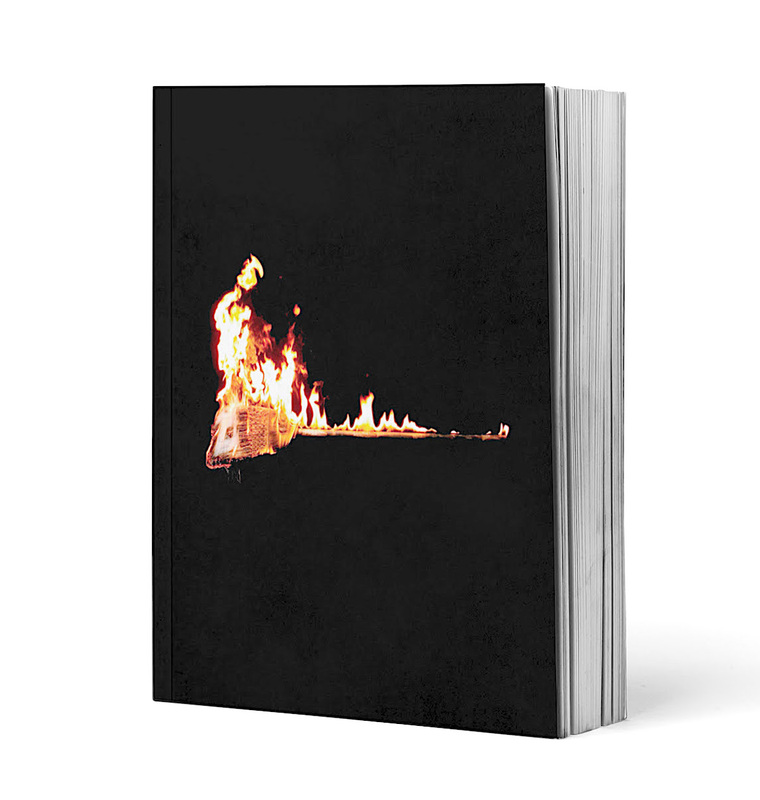 This full-color, 160-page catalog also includes essays by Morgan Meis and co-curator Alyssa Taylor Wendt. Designed by Jared Ritz. Also of note, $10 per copy will be donated to Direct Relief for Hurricane Harvey. You can get a copy in person at Co-Lab Projects in Austin, Texas or order online here: https://squareup.com/store/co-lab-projects/item/good-mourning-tis-of-thee-catalog-pre-order. 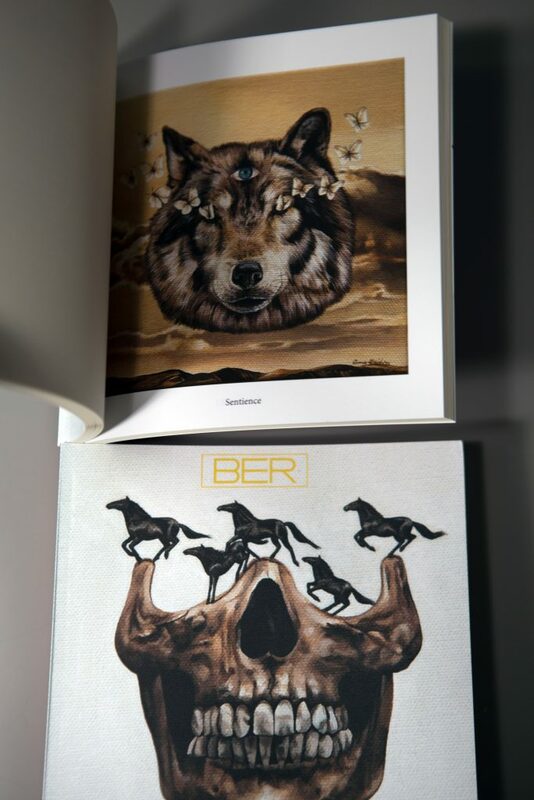 You can get a sneak preview of the catalog (be on the lookout for my painting The Pack) in this video clip: https://www.instagram.com/p/Bbh9atrDYbK/?taken-by=colabprojectstx. 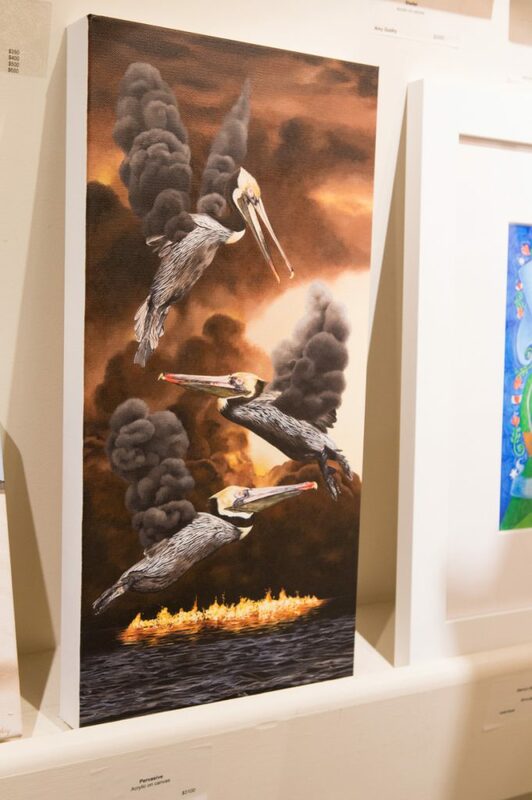 My painting Sentience was recently featured in Art Galleries & Artists of the South Magazine as part of a spread on LeMieux Galleries in New Orleans. Sentience has also found a new home. This was the first of my “butterfly eyes” paintings. The butterflies represent life- both are beautiful, fragile, and ephemeral. Sentience is an acrylic on canvas, 6″ wide by 6″high. 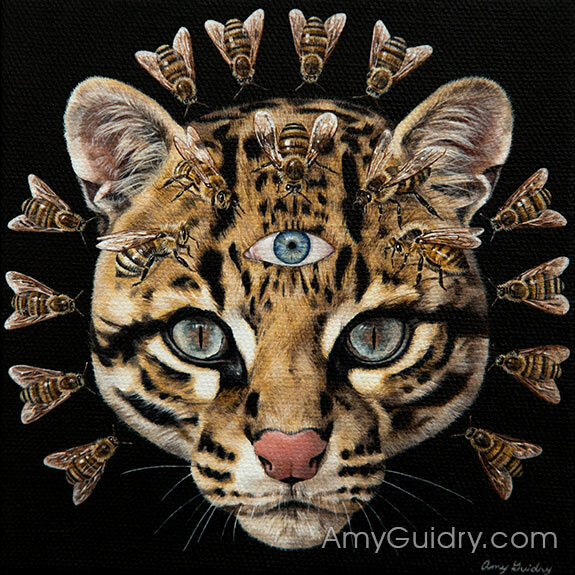 You can view it online here: https://amyguidry.com/sentience.html and view more “butterfly eyes” paintings from the series here: https://amyguidry.com/gallery.html. 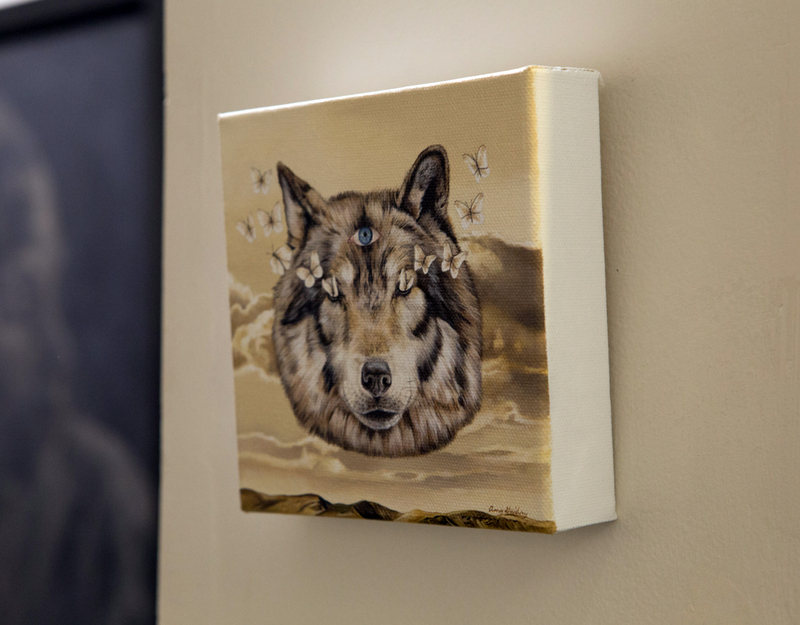 My painting The Pack will be on view starting tomorrow in Austin, Texas. 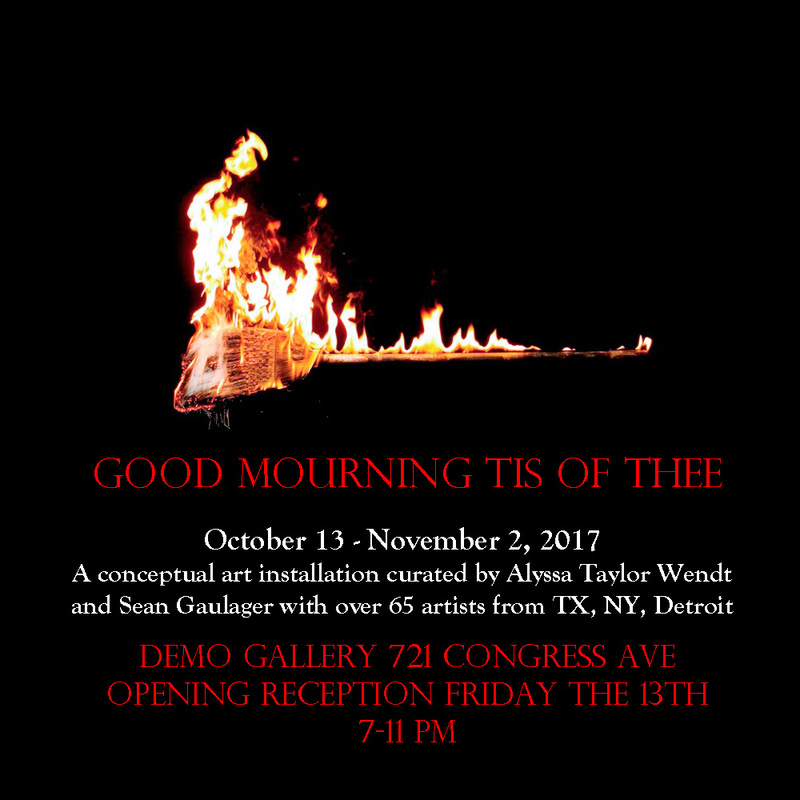 It was selected to be a part of “Good Mourning Tis of Thee,” a conceptual group exhibition curated by Alyssa Taylor Wendt and Sean Gaulager. Funded by a generous grant from the city of Austin and the Cultural Arts Division, this exhibit will cover such themes as death and transformation, in which death is a catalyst for positive change. The show runs October 13th through November 2nd, 2017 at Co-Lab Projects’ DEMO Gallery in Austin, TX. There will be an opening reception tomorrow, October 13th from 7-11pm. 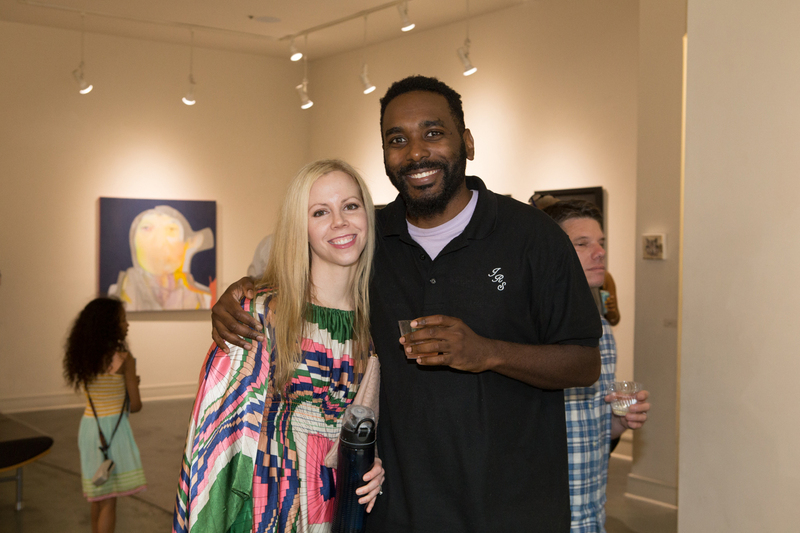 These are a few photos from opening night for the “Face to Face” exhibition at LeMieux Galleries in New Orleans. Artists represented by the gallery as well as a few new artists have created their own interpretation of portraiture, ranging from the traditional to the abstract. 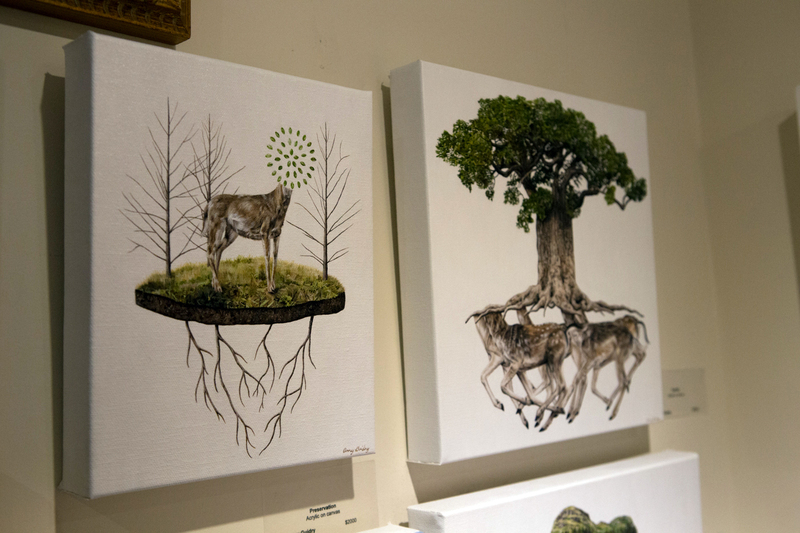 The show is up now through July 29th, so there’s still time to see the exhibit. 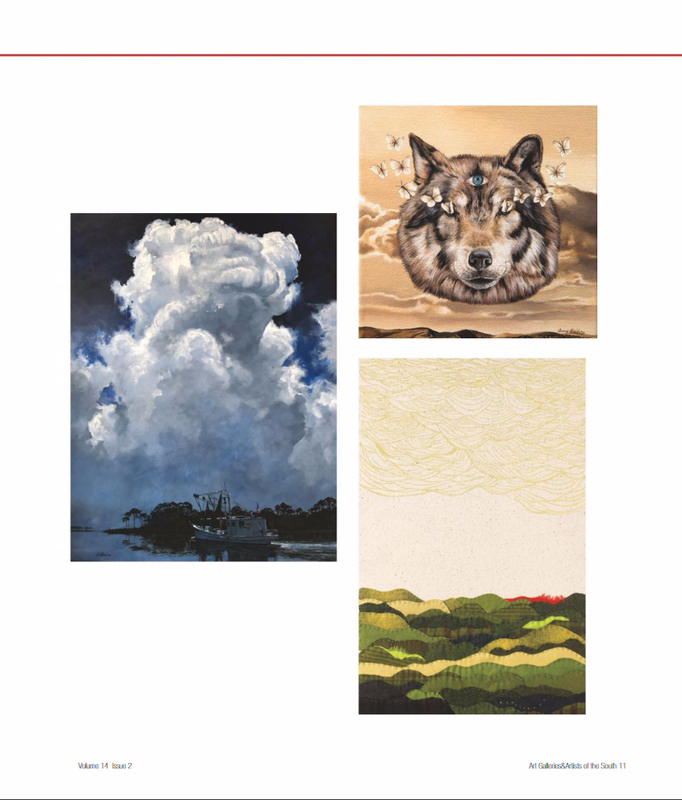 New postcards featuring my painting Sentience are in. 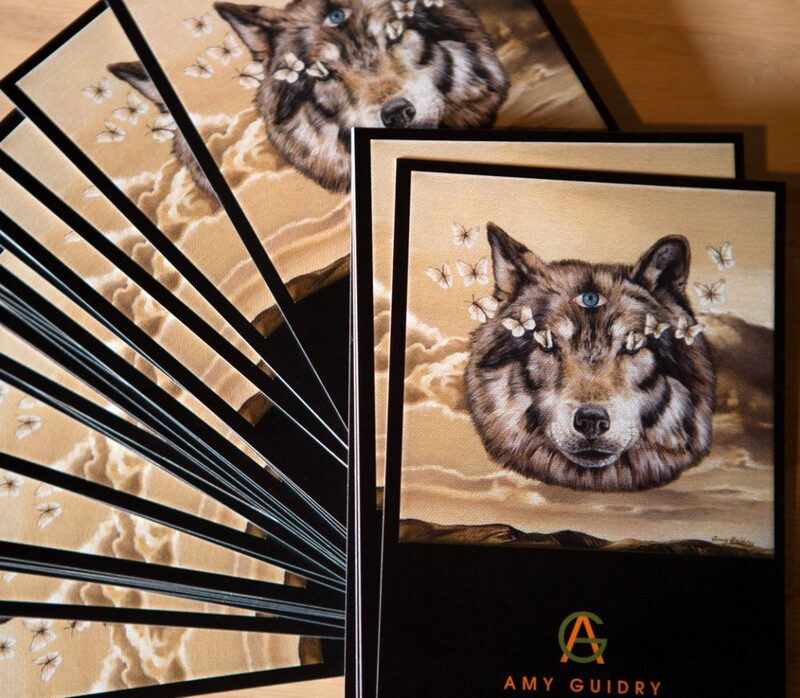 If you’d like to receive one, join the mailing list at https://amyguidry.com/contact.html (just click on the postcard icon). I’ve just finished both paintings previously featured while in progress. Pervasive and Sentience will both be on exhibit for the opening at LeMieux Galleries in New Orleans tomorrow (June 3, 2017). Pervasive has been a long time in the making. I’m sometimes asked if living in Louisiana affects my work. Given that my work deals with the welfare of our planet, many of the issues that Louisiana faces (habitat loss, flooding, BP oil spill, hurricanes) are something that I cover but on more of a global scale. 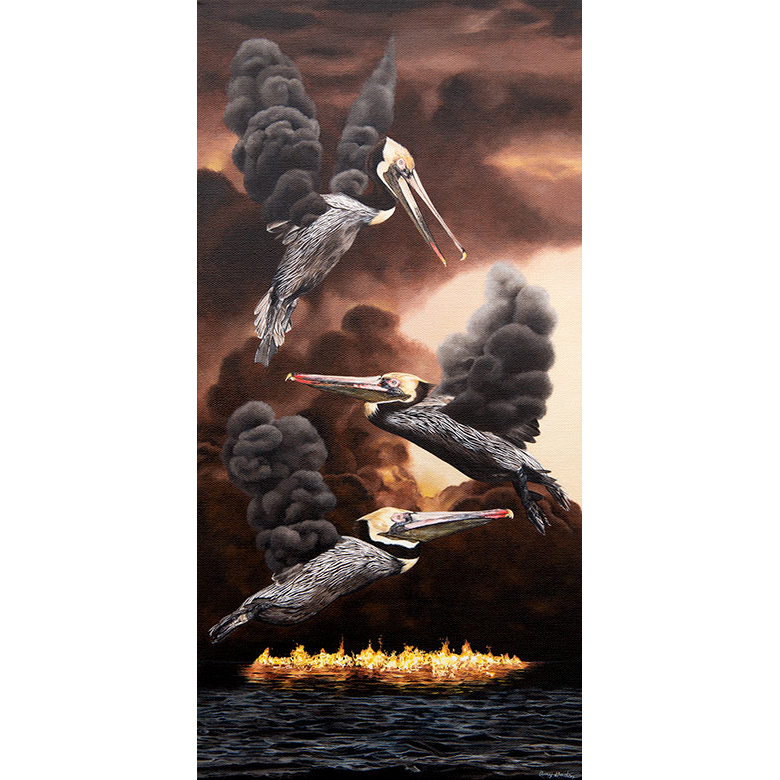 Pervasive is one of the most direct pieces I’ve done, focusing on the conservation of Louisiana wildlife and wetlands. The BP oil spill not only affected the wildlife of Louisiana, but it continues to affect the wildlife of rest of the world to this day as bird and sea animals continue to migrate. It may be asking a lot of a painting, but I hope that it has a big impact. 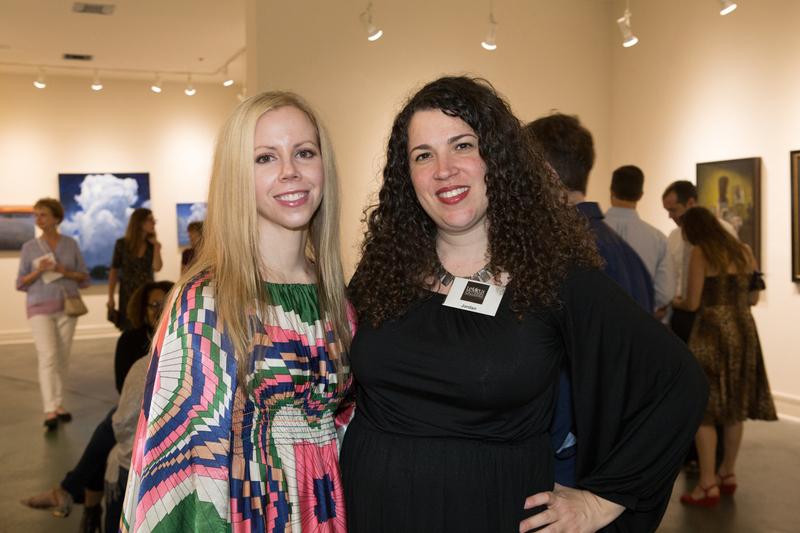 Sentience was specifically created for the “Face to Face” exhibit opening at LeMieux Galleries. 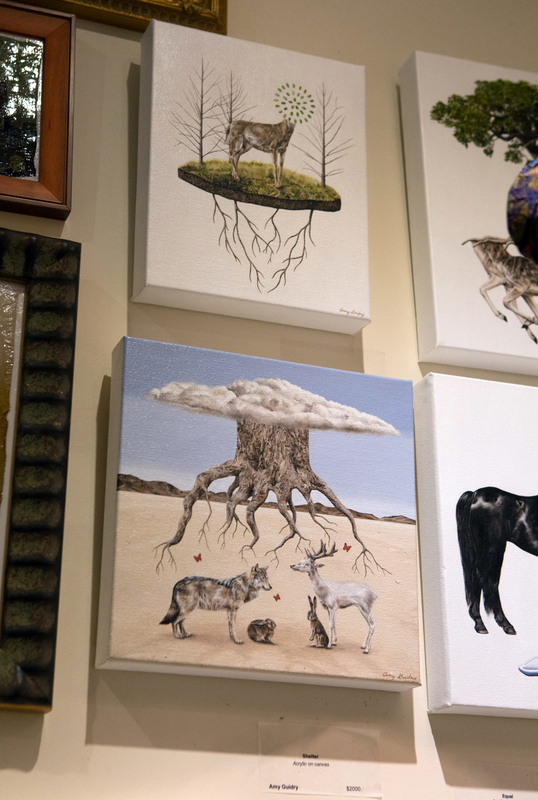 The exhibit features a range of interpretations of portraiture. In Sentience, the butterflies represent the beauty and fragility of life, while the third eye represents enlightenment. The eye is a human eye, referring to the fact that we are all members of the animal kingdom, and can see a bit of ourselves in the personalities of other animals. 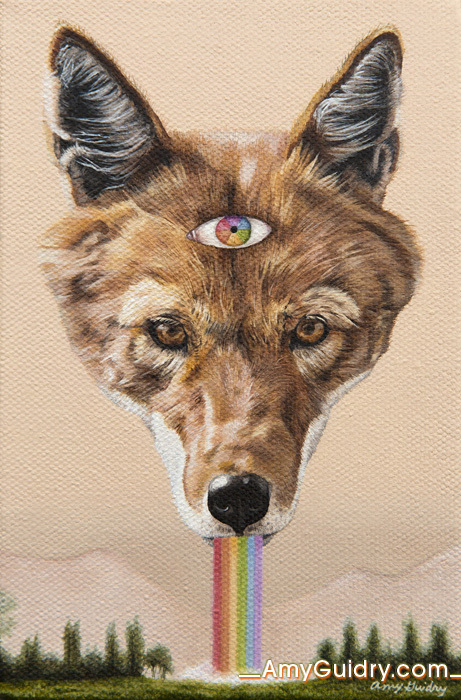 Sentience is an acrylic on canvas, 6″wide by 6″high. Both paintings will be on view tomorrow, June 3rd for the opening reception from 6-8pm. The exhibit will remain up through July 29th, 2017.